Having attended the Episcopal School of Dallas for all twelve years and then The University of Texas, familiarity with Dallas remains forefront for this savvy 27 year old. Before beginning her career as a residential salesperson, Hillary worked at Westcott LLC, a private equity firm, where she directed operations and helped manage everything from investments to marketing campaigns. 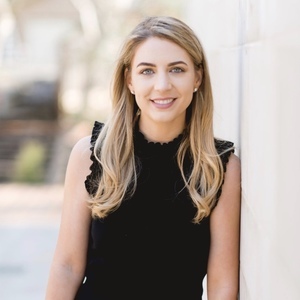 After four years working in the finance industry, she made the jump into residential real estate in order to foster her love of helping people on a more personal basis. Calm and composed, there's no task too big for her to overcome. Whether it be reeling in buyers or tending to sellers, Hillary's pragmatic and professional approach is unparalleled, ensuring every client remains a top priority. Outside the office, she enjoys spending time with her family in Preston Hollow and socializing with friends at her home in the M Streets. She is an avid member of the Junior League of Dallas and involved with the Family Place’s Partners Card organization this year.